The sudden decision seems to have stemmed from the recent controversy surrounding the now-cancelled Super 7 Concert that has been a hot topic on the web these past few days. The Super 7 Concert had come under fire regarding its high ticket prices, its vague relation to the show Infinity Challenge and its vague purpose. Just before Gary′s tweet, the MBC Infinity Challenge members had announced through LeeSsang Company′s official webpage that the Super 7 Concert, which was originally scheduled to take place on November 24 and 25, had been cancelled. The members said in the announcement and apology, "We believe we were too concentrated on the quality of the performance that we missed the more important issues. We′re sincerely sorry for causing confusion with our inexperience among those who had trusted us for such a long time." 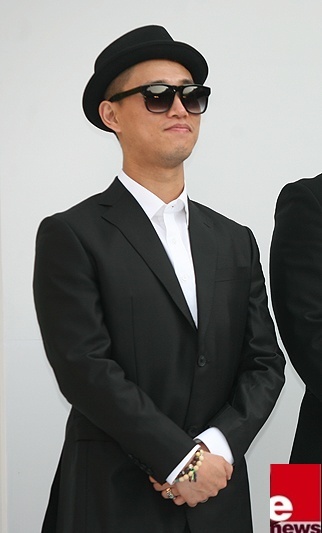 LeeSsang, the group managing LeeSsang Company, has been pushed to take responsibility for the entire issue as LeeSsang Company was the host of the concert. Gary took up his own burden by saying he will leave the variety world.